Yes, it's changed publishers and been delayed a few times, but South Park: The Stick of Truth still exists, and it still looks amazing. Here are some new screenshots from the Obsidian-developed RPG, which is written by the show's creators, Trey Parker and Matt Stone. 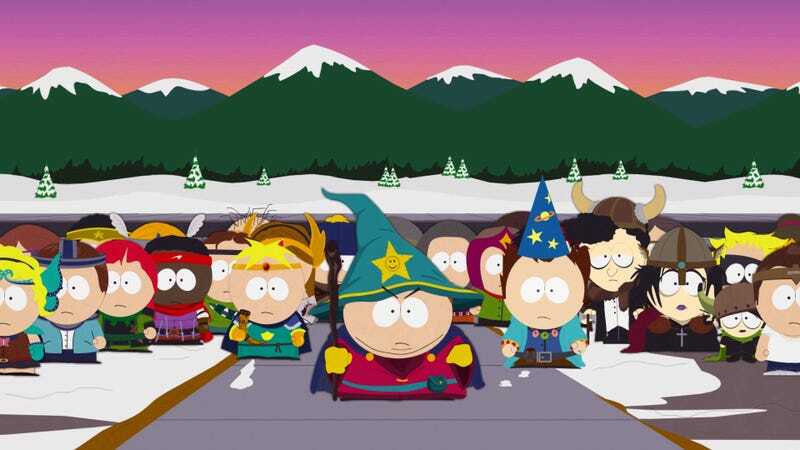 Originally slated for last year (and then earlier this year) as a THQ game, South Park: The Stick of Truth was purchased by Ubisoft when THQ went bankrupt back in January. No release date just yet, but it'll be at E3 next week. Sorry about this, but can we please remove the Cartman farting image from all coverage as it has not been approved by ESRB. Apologize for the hassle and appreciate your understanding.